← King Cicada is 75th! 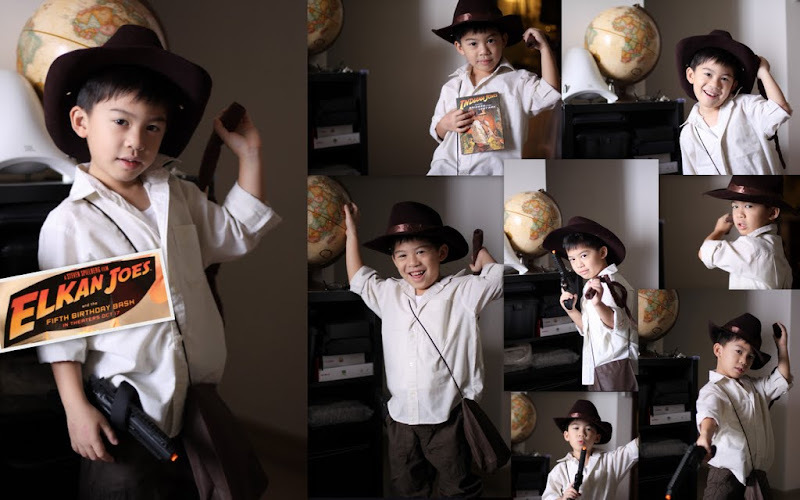 Not sure how many of his classmates would know about "Indiana Jones" – Elkan looks more like a cowboy than a treasure hunter. It wasn’t as exciting as last year – many of the kids came in their home clothes. That is perfectly okay, cos’ in reality, there is only 1 spiderman and 1 superman. We need civilians in distress. 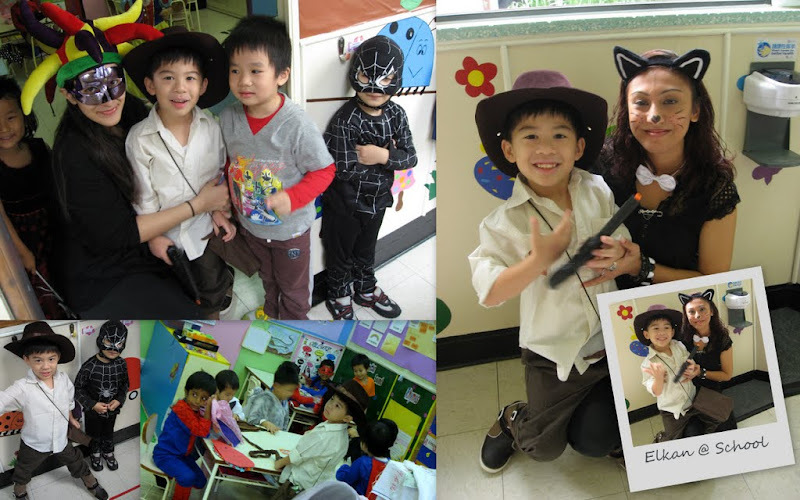 Of all, I thought his teacher dressed best. She was one hot catwoman (maybe Elkan can lend her his whip! ).